My third interview in my top parent bloggers interviews is Tom Briggs. Tom is the proud father of three children. He has been blogging since 2010. In 2015 he quit his stressful office job to become a full-time blogger, and make a living at something he loves. He says it’s one of the best decisions he has ever made. Tom blogs mostly about parenting, but also many other topics. His blog is always fresh and very engaging. He writes with a great style that draws you in, and leaves you wanting more. Tom is without question one of the premier dad bloggers currently in the UK. He is always named in all the top ten blogger lists and is a multi award winning blogger. I’m happy to say that I can call Tom a friend, who has always gone out of his way to help me whenever I have asked. Nothing is ever too much trouble. A big thank you to Tom for agreeing to be interviewed by me for my blog. Now onto the questions! I’m sure you will enjoy the answers as much as I did. Don’t forget to check out Tom’s blog, Diary Of The Dad. I can guarantee you will not be disappointed. I started blogging in 2010, shortly after my oldest child was born. I wanted to keep a record of family life and also had half a plan to write a book about becoming a dad. 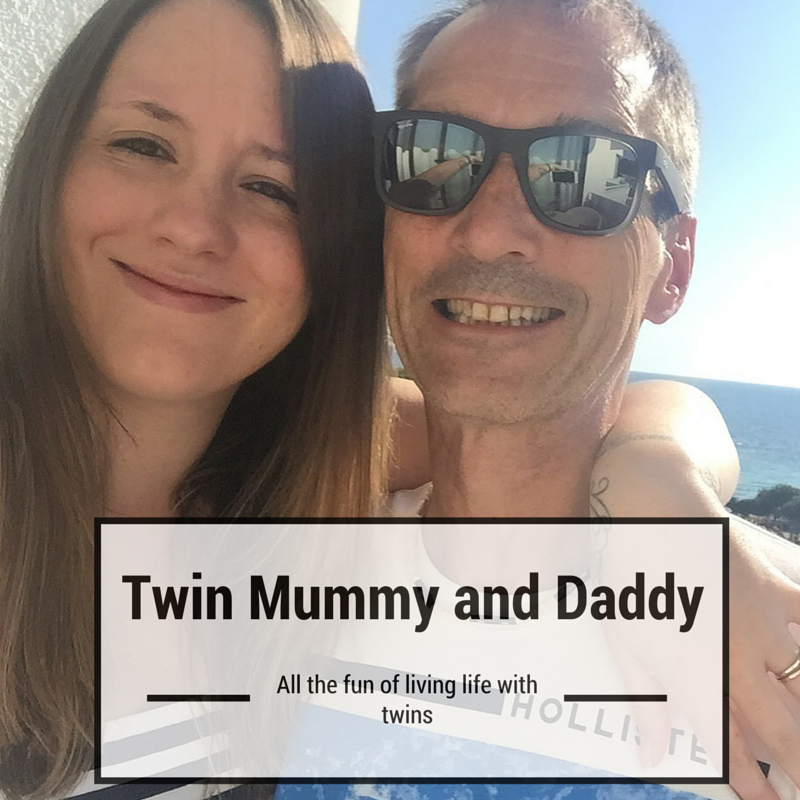 The book has never happened and probably never will as blogging has taken over in a way I never thought it would, but I’ve stayed true to the theme of family life and kicked on from there. It has helped to a certain degree as I’m well drilled in quickly getting to the point of whatever I’m writing about. Being able to take notes in Teeline shorthand is also handy – particularly at conferences! But my journo background was also something of a hindrance at first. I had a lot of preconceptions about writing to house style and it took me a while to become confident writing in my own voice rather than those of the publications I worked for. I do keep half an eye on them as PRs and brands are asking for stats from collaborations more and more these days. I also think it’s important to do so to compete with myself as a blogger. There’s always room for improvement so I check my stats each week to see whether they’re going in the right direction. I only ever accept collaborations that interest me or that I can write about authoritatively as it’s so important that I stay true to myself and why I started the blog in the first place. People read my blog as they’re interested in what I have to say, so I would be doing myself and my readers a disservice if I were to work with brands that really aren’t me. I think you have to love what you do in order to be successful. It’s also important to be prepared to work hard as there’s so much ‘invisible’ behind-the-scenes stuff that has to be done such as SEO optimising, photography and ALL the admin. Also, as I mentioned earlier, you have to stick to your original raison d’être as a blogger otherwise you can lose your way. This is one of those areas that I really need to improve on! As I work from home and for myself, I have plenty of flexibility. This is great as I can do school runs with my older two and spend a bit of time with my youngest during the day. I try to keep standard office hours but am guilty of flying by the seat of my pants. I need to get better at planning ahead and dedicating certain times for specific tasks at the very least. Well, I’ve always said that I’ve got a face for radio! To answer the question properly though, no, it doesn’t come naturally. I’m always really nervous before I go on air – even when it’s over the phone and I’m at home. I guess that my journalism background has been of some use here though – having been the interviewer many times, I can sometimes predict the kind of questions I’ll be asked and that probably buys me a few extra seconds to think of how to respond. It’s something I never really thought of at first as I didn’t think blogging was going to amount to anything for me. It’s firmly in my mind now though. I’m starting to dial down the number of pictures I include and am also trying not to refer to them by name as much as possible. If I had the chance to start again, I wouldn’t include their names or faces at all. I won’t lie – it’s lovely to win awards and they have helped raise my profile and given me more self-belief. They’re not the be all and end all, of course – there are plenty of brilliant bloggers who haven’t won any but are still getting the other successes that they deserve. I’ve always believed in being both honest and nice so I haven’t changed that much since writing my first post. Since becoming more successful though I’ve stopped swearing as much in my posts – I did quite a lot when I was unhappy in certain old jobs! – and I tend to avoid divisive topics too. I really hope that doesn’t happen! But, according to the jargon-heavy but nonetheless true blurb on my CV, I’m an experienced multi-channel digital editor and journalist. It would have to be in the charity sector too as that is where I was at my happiest before becoming my own boss. It’ll be a combination of both! I think it’s important to evolve as a blogger so, by the time they’re teenagers, I’ll probably be focussing much more on lifestyle topics than parenting ones. So, all being well, it’ll be a case of ‘out of sight, out of mind’. It’s normally something along the lines of “Wow!” followed by a lot of questions about how it works. Obviously, blogging for a living is still a very new thing and people are genuinely intrigued by it. It has changed massively since 2010 and in a great many ways too. It was just a new hobby for most back then. SEO and social media didn’t matter nearly as much as they do now. We all laughed at the idea of people having jobs as social media managers when the likes of Facebook and Twitter first emerged but nobody is knocking that now. I think the same can be said of blogging. ‘Influencer marketing’ as people call it now is huge and school kids are thinking of blogging, vlogging and so on as potential career choices. I won’t write about things that I don’t have experience of. For example, I was asked to write about infertility recently but we’ve been really lucky to have had no such problems. Writing about something so emotive without a true understanding of it would be wrong. For the most part, yes. As bloggers have grown, so have PRs and brands in their approaches to working with them. As with anything, there have been some bad experiences along the way but it’s important to remember that it has been a learning curve for everyone concerned. I hope I’ll still be writing it as I still have the same enthusiasm for it as I did back in 2010. Whatever happens, I’ll be writing in some shape or form as that’s what I’ve always done and, indeed, need to do! There have been so many brilliant experiences so it’s difficult to come up with one highlight. But being invited to Berlin to write about the Copa Coca-Cola was fantastic. I hung around with world cup winners and met some amazing kids from all over the world who only had football as a common language. They all got on so well and it was a truly joyful experience. Being able to spend more time with my family thanks to making a living out of doing something I love is immensely satisfying! Also up there are all the friendships I’ve made with some fantastic bloggers who I would never have met if I hadn’t written that first post almost eight years ago. 20. Finally did you ever in your dreams think you would become one the premier Dad bloggers in the UK when you started? In a word, no! The blogging scene was so different back in 2010 and I didn’t think it would ever become as big as it has. I certainly didn’t think I would ever become one of the more-well-known dad bloggers either. To be honest, I still find it weird when PRs call me an influencer – I’m just a normal person who was in the right place at the right time. Thanks very much for interviewing me, Nige. Great questions and I really enjoyed answering them! I’m really enjoying these interviews. 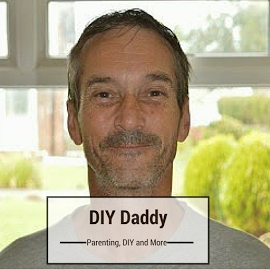 It’s great to get a Dad bloggers perspective on everything blogging related. Thanks for joining in with #TriumphantTales, hope to see you again next week! Great to read what Tom thinks. he’s a lovely chap and was one of the guys I held up as a role model when I started blogging.